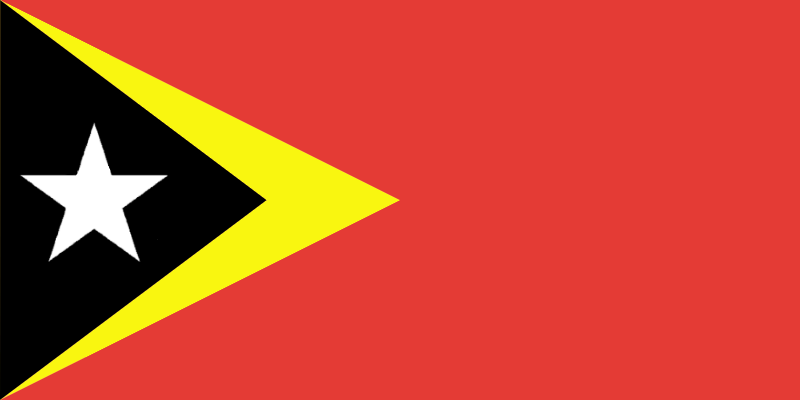 The following is a very brief list of maps, websites and books that provide good introductions to different aspects of Timor-Leste's geography, history and contemporary society. There is an enormous variety of material available on Timor-Leste, so these resources provide possible starting points. Barrkman, Joanna, From the Hands of our Ancestors: The Arts and Crafts of Timor-Leste, Museum and Art Gallery Northern Territory, Fannie Bay, 2009. Bovensiepen, Judith, The Land of Gold: Conflict Recovery and Cultural Revival in Independent Timor-Leste, Cornell, New York, 2015. Cummins, Deborah, Local Governance in Timor-Leste: Lessons in Postcolonial State-building, Routledge, Oxon, 2015. Cristalis, Irena, Bitter Dawn: East Timor, A People's Story, Zed Books, London, New York, 2002. Dunn, James, East Timor: A Rough Passage to Independence, Longueville Books, Sydney, 2003. Durand, Frederic, 1250-2005: 750 Ans de Cartographie et de Voyages, Arkuiris et Irasec, Toulouse and Bangkok, 2006. Fitzpatrick, Daniel, Andrew McWilliam and Susana Barnes, Property and Social Resilience in Times of Conflict: Land, Custom and Law in East Timor, Ashgate Publishing, Farnham, 2013. Fox, James and Dionisio Babo Soares, Out of the Ashes: Destruction and Reconstruction of East Timor, ANU E-Press, Canberra, 2000. Greenless, Don and Robert Garran, Deliverance: The Inside Story of East Timor's Fight for Freedom, Allen & Unwin, Crows Nest, 2002. Gunn, Geoffrey, Timor Loro Sae: 500 Years, Livros do Oriente, Hong Kong, 1999. Hagerdal, Hans, Lords of the Land, Lords of the Sea: Conflict and Adaptation in Early Colonial Timor 1600-1800, KITLV Press, Leiden, 2012. Joliffe, Jill, East Timor: Nationalism and colonialism, University of Queensland Press, Brisbane, 1978. Kammen, Douglas, Three Centuries of Conflict in East Timor, Rutgers University Press, New York, 2015. Leach, Michael, Nation-Building and National Identity in Timor-Leste, Routledge, London, 2017. 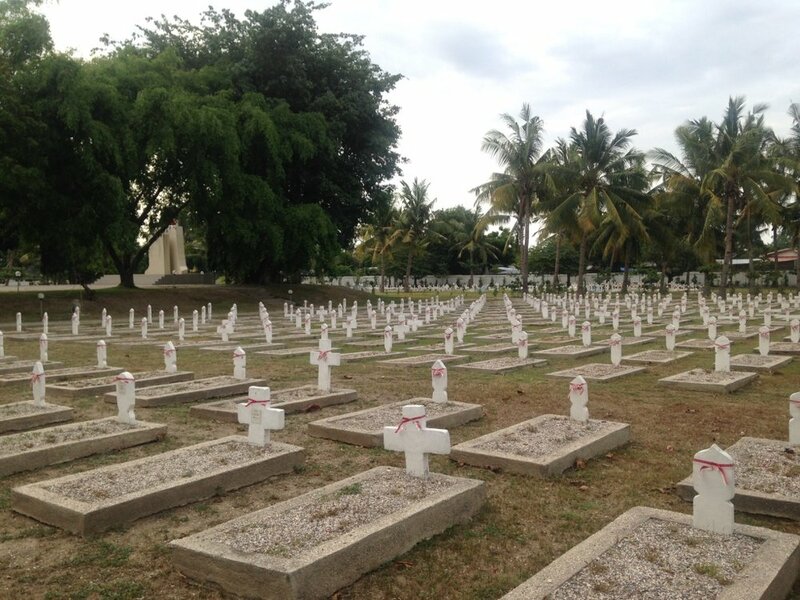 Marker, Jamsheed, East Timor: A Memoir of the Negotiations for Independence, McFarland & Company, 2003. McDonald, Hamish (et al), Masters of Terror: Indonesia's Military and Violence in East Timor in 1999, Canberra Papers on Strategy and Defence No. 145, Strategic and Defence Studies Centre, Australian National University, Canberra, 2002. McWilliam, Andrew and Elizabeth Traube, Land and Life in Timor-Leste: Ethnographic Essays, ANU E-Press, Canberra, 2011. Molnar, Andrea, Timor-Leste: Politics, History, and Culture, Routledge, Oxon, 2010. Nicol, Bill, Timor: A nation reborn, Equinox Publishing, Jakarta, 2002. Palmer, Lisa, Water Politics and Spiritual Ecology: Custom, Environmental Governance & Development, Routledge, New York, 2015. Smythe, Patrick A., The Heaviest Blow-The Catholic Church and the East Timor Issue, Transaction Publishers, New Brunswick, 2004. Tanter, Richard, Mark Selden and Stephen Shalom (eds), Bitter Flowers, Sweet Flowers, Pluto Press, Sydney, 2001. Taylor, John G., Indonesia's Forgotten War: The hidden history of East Timor, Zed, London, 1991.
International Centre for Transitional Justice (ICTJ) Timor-Leste. Published Conference Proceedings 2010, 2012, 2014. Agriculture and Land use Geographic Information System (ALGIS) Agro-Meterology Department, Ministry of Agriculture, Forestries and Fisheries (MAFF) RDTL. Regions of Timor-Leste, Department of Public Information, Cartographic Section, Map No. 4117 Rev. 4, United Nations, Dili, 2002. 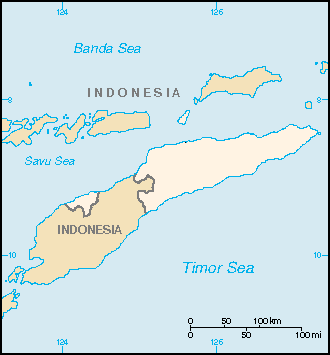 East Timor, Department of Public Information, Geographic Section, Map. No. 4111, United Nations, Dili, 1999. Timor-Leste Atlas Map, Field Information and Coordination Support Section, Division of Operational Services, UNHCR, Dili, 2006. Districts of Timor-Leste, MTRC Information Centre, RDTL, Dili, 2006. Maps of Timor-Leste, Seeds of Life, Dili.